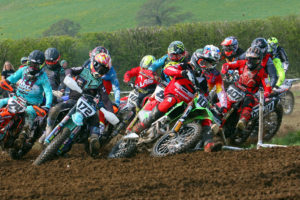 With new riders, new teams, new classes and a series extended to 10 rounds, the eagerly anticipated 2019 AMCA British Motocross Championship is ready for lift off. Hosting round one of this title chase powered by Datatag and supported by Dunlop on Sunday, March 31st are the Mid Cheshire MXC at Norley in Cheshire and what an opener it promises to be! Entries have been flooding in for all classes resulting in the need for on the day qualification. In a rider list bulging with quality, joining the 2019 AMCA family and hoping for a shot at glory are no other than the likes of Neville Bradshaw (MX1) and Kristian Whatley (MX2).